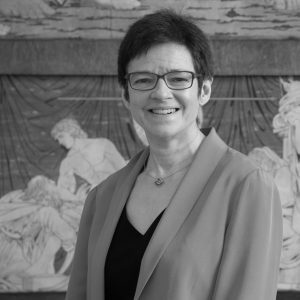 As Vice Provost (Enterprise and London) at UCL, Celia has responsibility for developing and leading the UCL strategies for both Enterprise and London. The former focuses on helping the outstanding staff and students of the university to make a difference to society and the world, in particular through embedding a culture of innovation and enterprise across the university. The UCL 2034 London strategy recognises the many facets of UCL as London’s global university, in particular recognising the multiple ways in which the university as a whole engages with the culture in London, the leadership of London and the opportunities for London. Previously, Celia was the Executive Director, Innovation and Skills at the BBSRC, where she was responsible for developing and delivering BBSRC strategy for innovation. She worked in and with the biopharmaceuticals industry (including Celltech Ltd, ICI Pharmaceuticals, the Wellcome Foundation and various UK early stage biotechs) and the Wellcome Trust on the Human Genome Project. She has an honours degree in Microbiology from Newcastle University and a PhD in pharmaceutical microbiology from Aston University.